Children thrive best in their families. Family preservation efforts are provided to prevent out-of-home placement whenever possible. Most often, foster care is temporary and children are reunited with their parents within a short time. In Minnesota, when children must enter foster care, relatives and kin are sought to care for their children. Preserving relationships with family members is crucial to a child’s sense of safety and well-being. When relatives and kin are not available, county social services recruits community members to become foster families. In Minnesota, more than 70 percent of the children in out-of-home placement are in a home setting. Foster care provides a safe place to be if a child cannot live with his/her family or on their own. Children enter foster care because of neglect, abuse, a family crisis, or the child’s own needs. Foster parents help by providing stability, affection, consistency, and nurturing. Foster care is a temporary living situation for children. It is not meant to be forever. Children usually continue to visit their own families until they may be reunified. While the child is out of the home, Douglas County Social Services is working to provide services so that the child can return to their parent(s). In most situations, foster families will have some contact with the child’s family. Attend the same schools, team events, cultural and social activities. Longer term care as families work through the reunification process. When reunification is not possible, foster families sometimes make a permanent commitment to their foster children. Respite care for the children whose families may need a short break from their daily routine. Should I do foster care? Is foster care parenting right for me? In addition, each of these categories have documents designated for an initial license application or the license renewal process. For more information on training requirements and on-line training that is available, please use the link at the right. Below are the Rules and Statutes that are pertinent to each of the above categories. We suggest that you visit the State of Minnesota Revisor's website using the link at the right to review and/or print each section applicable to your program license. 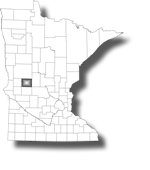 Minnesota Statutes, Section 176.182 requires every state and local licensing agency to withhold the issuance or renewal of a license or permit to operate a business in Minnesota until the applicant presents acceptable evidence of compliance with the workers' compensation insurance coverage requirement of Minnesota Statutes, Chapter 176. If the required information is not provided or is falsely stated, it shall result in a $2,000 penalty assessed against the applicant by the commissioner of the Department of Labor and Industry. A valid workers’ compensation policy must be kept in effect at all times by employers as required by law. The document to comply with this regulation can be accessed by going to the Minnesota Department of Labor and Industry website using the link at the right. On the blue bar, click "Workers' Compensation"; then click "Forms" and scroll down to "Certificate of Compliance Minnesota Worker's Compensation Law (MN LIC 04)"